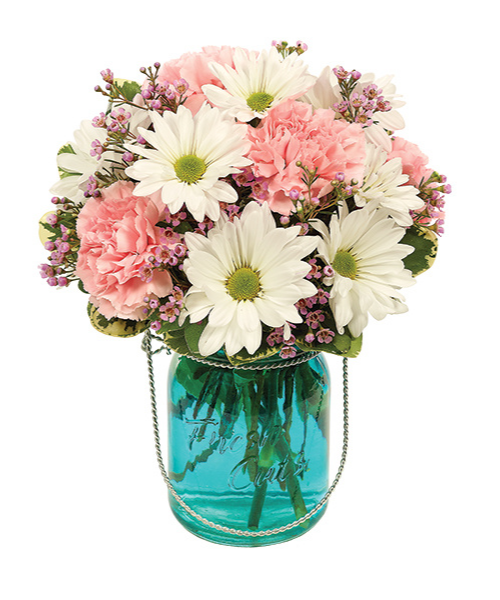 The Sweet Dreams Bouquet is a sweet little arrangement thats specially designed to bring cheer. Pink and white blooms are hand-arranged in a mason jar to make a lovely accent piece for your home or send sweet thoughts to a special someone. Mason jar size and color may vary depending on availability.